It's time for March's On The Horizon Post, for those of you not aware of what that is. In Vanguard every month we list several games that Vanguard feels would make a great place in TAW, and we publish them in a blog. Most titles are newer but there are some older ones as well that we feel would be good in our community. If you have any interest in any of these games or any others, fill out the Vanguard Interest Form please. In the second installment of Warhammer Vermintide players are forced to grow their teamwork skills and cooperate with each other as hordes of nasty infected vermin chase each and everyone of you down. With a pretty decent price of $30 hurry up and buy this game on steam, grab a couple friends, drown yourself in mountain dew, munch on some Doritos, and kill tons nasty rats. Each player is able to choose between classes like a classic MMO/RPG and each individual is unique however depend on each other's special abilities. Will you survive the HORD? 5 Heroes with 15 Career Paths- Choose between 15 unique careers, each with different appearances, abilities, talents and weapons. Relentless 4 Player Cooperative Experience- The combined forces of Chaos and Skaven are savage and merciless, and it will take a coordinated team effort to make it out alive. Chaos and Skaven Working Together- Prepare to face a threat of unparalleled magnitude as the Chaos and Skaven armies have formed a dark pact to plunge the world into death and decay. Our heroes will face a horde of hostile combatants in a variety of shapes and sizes. Fight Overwhelming Enemy Hordes- Facing the infinite numbers of the Skaven combined with the brutal strength of the Chaos army, the heroes must stand together and their fight must strike a balance between sound tactics and fury to overcome unimaginable odds. The Heroic Deeds System- Experience unique scenarios and intense trials with our new Heroic Deeds System - consumable quests that will dramatically alter enemy composition, level settings, weapon use and mission objectives. Talent Trees and Progression- Level up your heroes and climb the talent tree of your chosen career, unlocking new abilities and gaining access to powerful gear along the way. The Adventure Continues- Explore a wide range of breathtaking new levels set in and around Helmgart, a fortress city protecting the Bretonnian border of the Empire. With the huge rise of battle royal, this addition to a already hugely successful battle royal game, H1Z1, promises to be adventurous, exciting, and intense. With a car full of homies drop into a deadly battle with bullets flying across your friends and bullet holes splattered all over your car, feel the addicting adrenaline flow through your blood and see as you slowly raise your voice and start to lean off your chair. This new addition to the typical battle royal game is not extremely fun but completely free! With micro transactions only giving players cosmetics, all you have to do is download and play, it is truly that easy. The First Ever Auto Royal- Play battle royale on wheels. Drive into battle as part of a four-person vehicle of mayhem. Fight for power-ups to equip your squad and upgrade your ride. Outdrive, outshoot, and outlast the competition to BE THE LAST TEAM DRIVING! Nonstop High Octane Action- Work as a four-person team, find power-ups to outfit your vehicle, destroy vehicles with weapons and traps, using your favorite weapons, escape the fast moving toxic gas ring, if you're not first you're last. Take The Wheel- 1 person drives 3 people shoot, you never run out of gas, keep that pedal to the metal, speed through the map for power-ups, weapons, and vehicle upgrades, jump off ramps and fly off mountains like a true car angel. Elite Dange0ous is the definitive massively multiplayer space epic, bringing gaming’s original open world adventure to the modern generation with a connected galaxy, evolving narrative and the entirety of the Milky Way re-created at its full galactic proportions. Start with only a small starship and a few credits, you must do whatever it takes to earn the skill, knowledge, wealth and power to survive in a futuristic cutthroat galaxy and to stand among the ranks of the iconic Elite. In an age of galactic superpowers and interstellar war, every player’s story influences the unique connected gaming experience and handcrafted evolving narrative. Governments fall, battles are lost and won, and humanity’s frontier is reshaped, all by players’ actions. Featuring deep strategic gameplay, a rich and enormously diverse selection of alien races and emergent storytelling, Stellaris has engaging challenging gameplay that rewards interstellar exploration as you traverse, discover, interact and learn more about the multitude of species you will encounter during your travels. Etch your name across the cosmos by forging a galactic empire; colonizing remote planets and integrating alien civilizations. Will you expand through war alone or walk the path of diplomacy to achieve your goals? -Enormous procedural galaxies, containing thousands of planets. -Explore Anomalies with your heroic Scientist leaders. -Infinitely varied races through customization and procedural generation. -Advanced Diplomacy system worthy of a Grand Strategy Game. -Ship Designer based on a vast array of technologies. Far Cry comes to America in the latest installment of the award-winning franchise. Welcome to Hope County, Montana, land of the free and the brave but also home to a fanatical doomsday cult known as Eden’s Gate. Stand up to cult leader Joseph Seed, and his siblings, the Heralds, to spark the fires of resistance and liberate the besieged community. Coming with a price of $60 and a close release date, 3/27/18, this fifth installment of the farcry series looks to bring a new and fresh story line while keeping the same chaotic combat we all love. With tons of activities such as hunting, flying, driving, shooting, adventuring, climbing, and many more, the only question is what will you choose to do? Hell Let Loose places heavy emphasis on teamwork and communication as players work together as limited Roles in Platoons beneath the leadership of Officers and the force Commander. Using historically accurate weapons, logistics, armor and tactics, Hell Let Loose is a game that demands teamwork and communication not only to win, but to survive.. Combine your team's individual skill to create a overwhelming force and watch as at the end of the day it is your enemies bodies you will be stepping over. Grab your history textbooks and a couple friends; engage in hyper realistic game play. Remember if you would like to see any of these games or any other games that may have not appeared in this blog post please fill out the Vanguard Interest Form. If you would like to play these games with some fellow TAW members feel free to check out the Game Testing Channels under the Vanguard Unit in Teamspeak. If you have any questions about these games or any others feel free to contact any Vanguard staff. 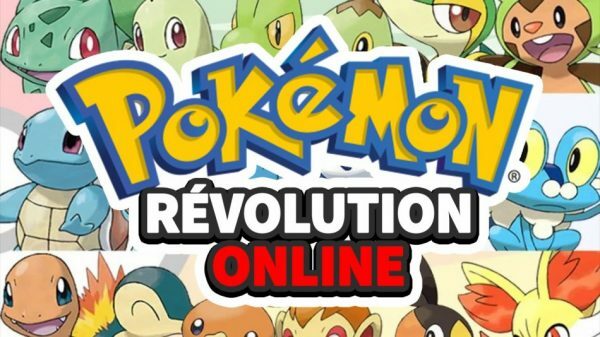 The Pokemon Revolution Online spin-up meeting has been announced for March 17th, 2018 @ 1400 (2:00 PM) EST. They will be giving a general overview of the game and how they will run their mandatory events. Vanguard will give a brief description of Vanguard and how it operates as well. We look forward to the turnout and hope to see as many of you there as possible. The Total War Arena spin-up meeting has been announced for March 24th, 2018 @ 1430 (2:30 PM) EST. They will be giving a general overview of the game and how they will run their mandatory events. Vanguard will give a brief description of Vanguard and how it operates as well. We look forward to the turnout and hope to see as many of you there as possible. DC Universe Spin-up meeting has been announced for March 17th, 2018 @ 1500 (3 PM) EST. They will be giving a general overview of the game and how they will run their mandatory events. Vanguard will give a brief description of Vanguard and how it operates as well. We look forward to the turnout and hope to see as many of you there as possible. The Vanguard Train is pulling into the station once again with all news everyone wants to know. Congratulation to Blackwake for launching with 41 members into 2nd core last month. Also give hooahh to Hearts of Iron IV and Call of Duty WW2 for flipping to teir 2. Both of these teams are now open to internal transfers. New games this month are LIfe is feudal and DC Universe Online. what games to bring in next. Hop in and find others playing the same games as you, and it shows your support to Vanguard. Black Desert Online is a MMO RPG where you and all your friends can have endless fun with all the activities BDO has to offer, Whether it be exploring the vast unique environment, grinding mobs for exp, or enjoying the fantasy life, if you wish it BDO has it! With a growing community and a devoted leadership team come check up into the next event and become surrounded by fun, fantasy, and combat Grind, Upgrade, and reap the benefits of killing the largest and most dangerous creatures you can think of! If anyone is interested in helping this team be a success in TAW, contact Xaust or any of the Vanguard staff. Empyrion is not your typical space game, it combines exploration and survival elements to create the ultimate open world space sandbox! With Teamspeak channels always filled with officers, members, and recruits this division has reached an enormous amount of success, Hitting Tier 1 was just one of the recent accomplishments with the recent recruitment spike, this team's numbers have reached a total of 41 active members! Spearheaded by their SUL, TheState, along with dedicated leaders along side of him, this team shows no sign of slowing down! This team, created on December 13th, has shown nothing short of success. With a recent promotion into Tier 2, this dedicated team of leaders, organized by their SUL, Venidis, continue to show that with hard work comes even greater success. With a growing roster filled with active NA and EU members, This division is becoming a model for all future games to come. If anyone is interested in helping this team be a success in TAW, contact Venidis or any of the Vanguard staff. The first DLC (The Resistance) was released last week adding 3 new maps (Anthropoid, Occupation and Valkyrie) to the game, a new war mode map (Operations Intercept) and a new zombie chapter called "The Darkest Shore". The COD team has been hard at work the past few months getting everything set up and bringing in new recruits. With the team's progression to Tier 2, they are now open for internal transfers. Keep a sharp lookout for the new COD wiki and forum pages to be populated soon. If anyone is interested in helping this team be a success in TAW, contact Slayeradrian or any of the Vanguard staff. Fortnite is currently gaining huge amounts of popularity, with new content realising often and a price tag of $0, Fortnite has the perfect recipe for a hit game. The Fortnite team is currently working on establishing structure and leadership within their ranks as well as recruiting on a daily basis. If anyone is interested in helping this team be a success in TAW, Mcdowect contact or any of the Vanguard staff. 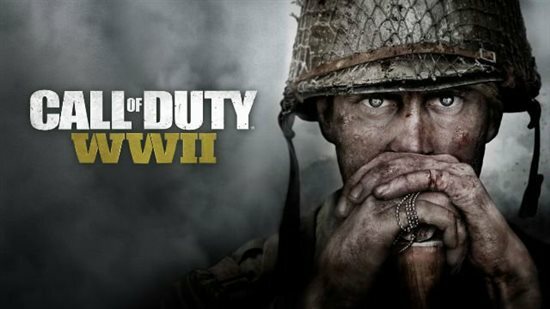 Vanguard is proud to announce that the Call of Duty: WWII team has progressed to Tier 2 status! With this, they are now open for internal transfers. If you would like to transfer to the Call of Duty: WWII (COD) unit or attend events with the team, feel free to join them in their channels in Vanguard.